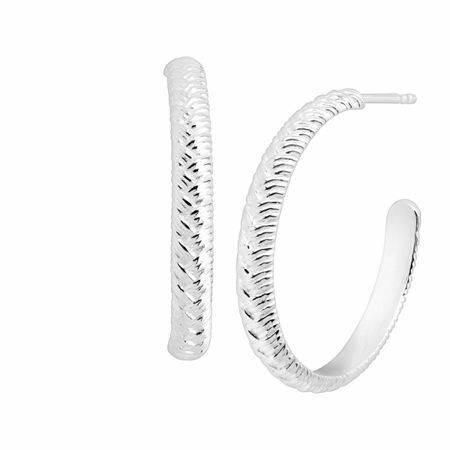 These textured hoops are a classic in any collection. Criss-crossed etchings give these sterling silver tube hoops a dimensional feel with ease. Earrings measure 1 1/8 by 1/8 inches and feature posts with friction-backs. Pieces come with “.925” sterling silver quality stamps as symbols of guaranteed product quality.